I took this while waiting in the Cell Phone Waiting Area at PDX. The storm clouds were SO impressive, I couldn't resist. 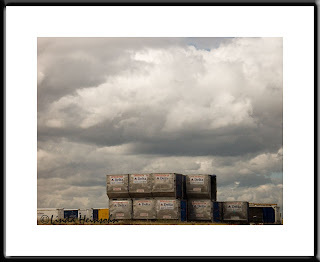 And the Delta shipping containers made a quirky kind of foreground all stacked there in the middle of the field.